Mention the words “digital watch” and most minds instantly fill with images of G-Shocks or the trusty Casio calculator watch. However, long before the invention of those little battery-powered timekeepers, came the Pallweber pocket watch. 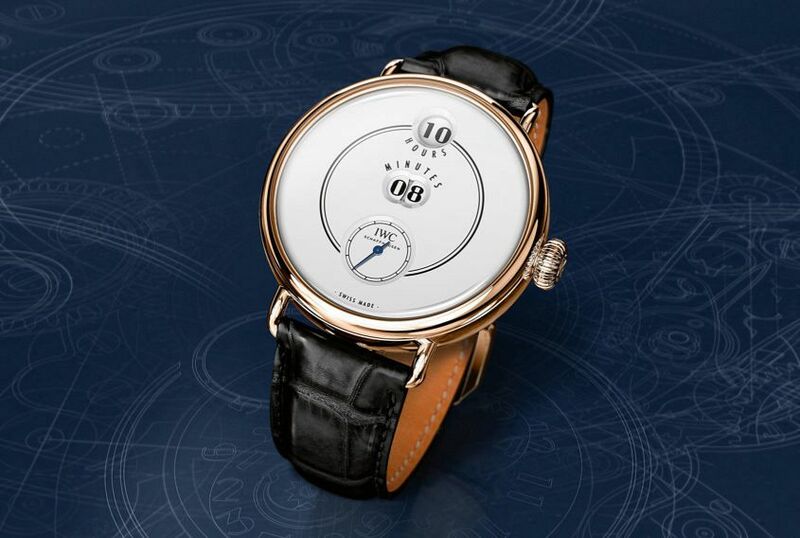 Patented in 1883 by Salzburg-based watchmaker Josef Pallweber — who then licensed his invention to IWC, and later to other manufacturers — the Pallweber featured jumping numerals in a digital display. And despite a relatively short production run from 1884 to 1890, it’s perhaps the most iconic IWC pocket watch of all time. 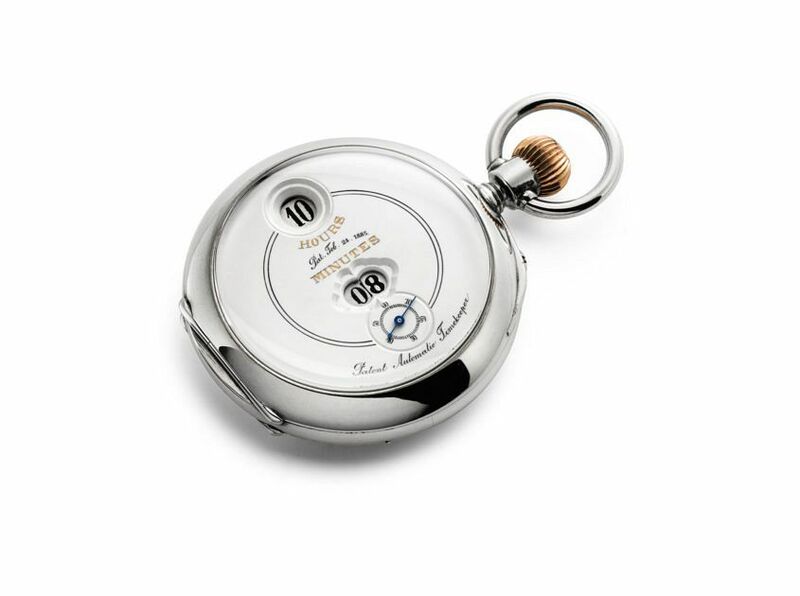 Next year, with the company celebrating its 150th anniversary, the Schaffhausen manufacturer is launching a tribute to the original digital pocket watch. Only this time it’s made for the wrist. Measuring 45mm across and 12mm high, the case of the Tribute to Pallweber is made from 18-karat red gold, with thin wire style lugs and a black alligator strap. Inside is the all-new IWC-manufactured calibre 94200. This clever hand-wound movement is able to run unaided at 4Hz for 60 hours. The impressive power reserve – almost unheard of in a digital jump hour display, is thanks to the movement’s dual gear-train design, each supplied by their own barrel. The main gear train keeps the time and the seconds running, while the second drives the jumping displays for the hours and minutes. Displaying those hours and minutes are large numerals on three separate rotating discs in two separate windows. While at 6 o’clock a more traditional small sub-dial with a blued steel hand displays the seconds. 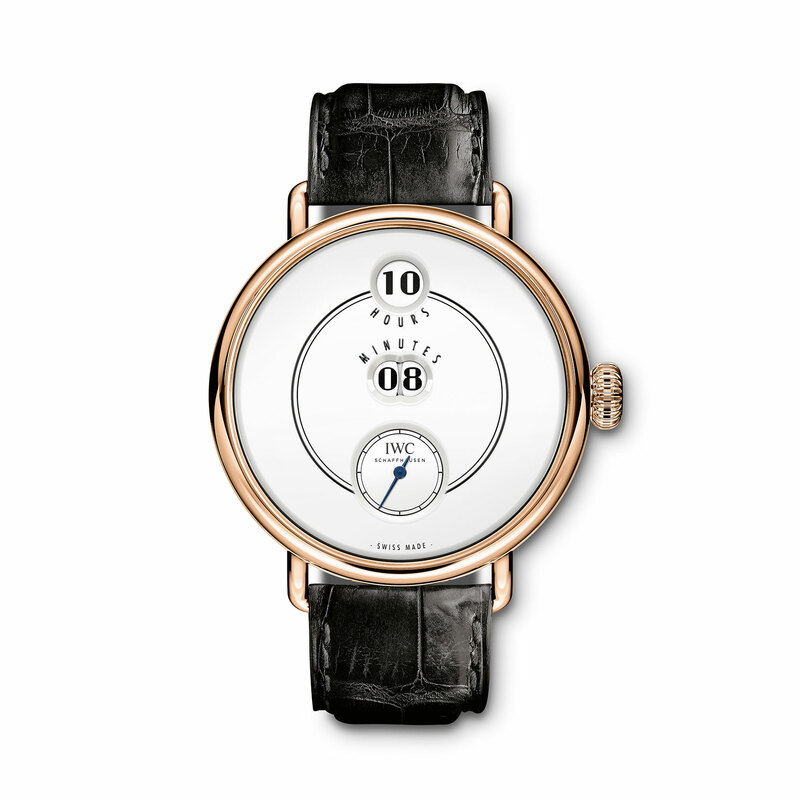 Overall, it’s an incredibly minimalistic dial, but also a faithful reinterpretation of the original. Aiding that faithfulness is the finish of the dial (a common theme throughout all the 150th anniversary editions). Reminiscent of enamel, the dial is applied with several layers of white lacquer, flat polished, brushed and then printed with all the relevant markings. Limited to only 250 pieces worldwide, the IWC Tribute to Pallweber is just the tip of the iceberg of what we can expect to see from IWC in 2018.